Its been just over month since my last update on the development of ChessJournal and some of you no doubt are wondering what has been going on. Its been a very busy month as myself and Matt have dived into the main development of the app. Hence the radio silence! 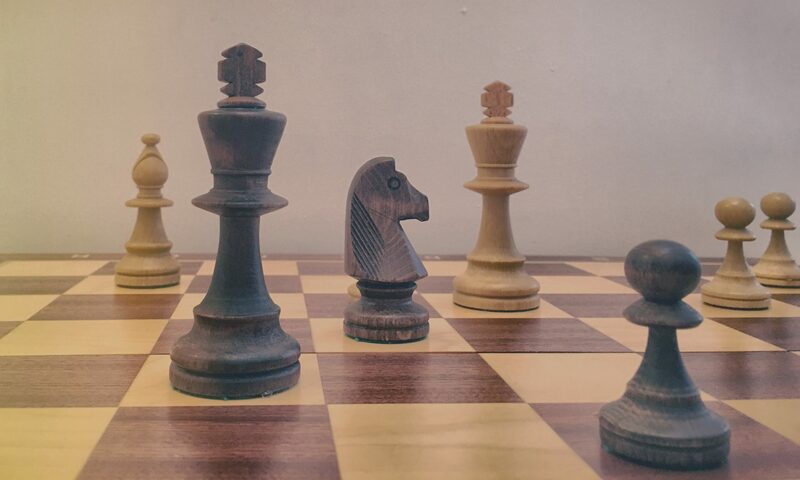 I will provide an update at the end of this post on development but in the meantime I wanted to talk about four core ways that we believe ChessJournal will help you improve at chess. In essence, ChessJournal becomes the repository for your competitive, over the board, chess career. As well as providing a portable digital solution to all those paper scoresheets, it also allows a fast and efficient aggregation of your performance, trends and mistakes. Rather than focus on reading the latest theory of the Sicilian at GM level, ChessJournal helps you self analyse and spot where you personally go wrong. For example, I am consistently a 1800-1850 club player. At that level it is often tactics that win or lose a game. From a period of extensive self analysis I have spotted that I have a particular weakness for the “pushed pawn fork”. On numerous occasions I have dropped a piece by analysing to death the consequences of pawn takes pawn but failing to see the very obvious piece fork that occurs from my opponent simply pushing the pawn on. I can’t explain this personal failure. It seems to be a tactical blindspot for me. However, through self analysis I am now much more aware of it and have added a double check to my mental routine when sat across from my opponent. Who knows how many points this personal adjustment may save me next season? Every game that you choose to input to your personal ChessJournal will be played over the board in the context of a competitive environment. It will not include blitz games played on the sofa with one thumb and half an eye on the board. It won’t evaluate your performance based on staring at a small 2D screen. It won’t evaluate your performance if you had to change a nappy half way through. The third way that ChessJournal allows you to improve is by utilising the power of digital to record and share your competitive chess games with friends, club mates and teachers. If you are carrying your whole chess career in your pocket then showing that amazing exchange sacrifice just got a hell of a lot easier! Whether you are sending it to Twitter, Facebook or email or just kibitzing face to face in the local coffee shop, a second opinion and fresh pair of eyes on your games enables objective critique as well as different perspectives. Something that goes a long way to helping you understand and learn more about your own play. The forth advantage of ChessJournal is for those last minute double checks before a game. Perhaps you have been drafted into a league match at the last minute and are playing a person you already played this season. Or maybe the draw for the last round of the tournament has just gone up and you realise that its your arch nemesis who knows you inside out! What to do? ChessJournal will allow to have all your games in your pocket enabling a quick spot of rapid research to determine exactly which obscure line of the Sicilian you and your nemesis played last time (and perhaps where you should deviate…). As you can probably tell, the above four examples (and the reason for the development of ChessJournal itself) are inspired by my own experiences of being a competitive, amateur, chess player. I hope at least some of them resonate with you and help you understand what we aim to achieve with ChessJournal. I will finish this post with an update on the progress of the app’s development. Its fair to say the old adage of completing 80% of the work in 20% of the time is so so true as we steadily work through our development bug list one issue at a time. We are determined to give ChessJournal the polish and performance that a world class app deserves so please bear with us! To give you an example of some of the stranger bugs we have discovered, we had an interesting problem last week when trying to input a game where the native iOS behaviour of swiping on the left hand side of the screen to “go back” meant that we were unable to touch any chess pieces that were sat on the A file (quite a dilemma as I really wanted to move my “dim knight” to c5). However, everything is positive and at the time of writing we have launched ChessJournal onto the app stores test servers, not once but twice. Our target for ChessJournal v1.0 being available is May so not long to wait now. Finally as usual I want to thank you all for reading but also your support on social media. Since my last blog post our social media presence has grown to 334 people so thank you very much. Until next time, keep spreading the word about ChessJournal. Lets do this!